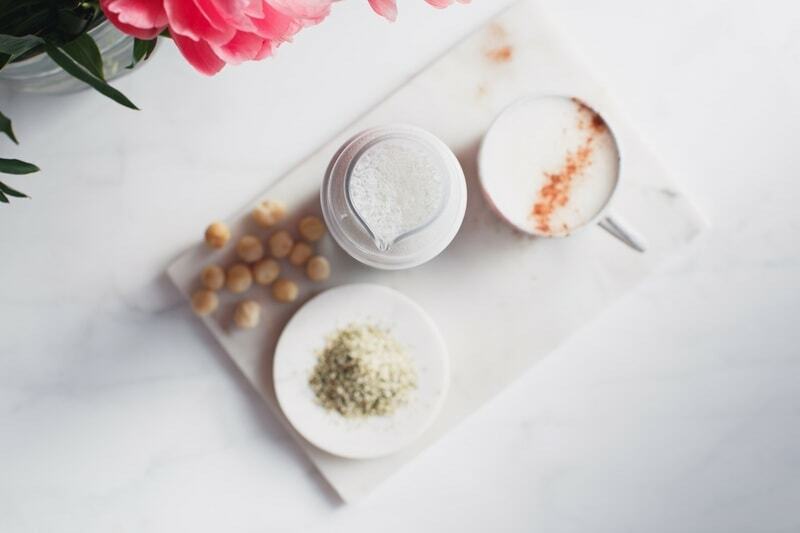 Hemp & macadamia nut combine to make the most beautifully creamy plant milk, rich in beneficial omega-3 essential fatty acids. Simple and no fuss, with no need to soak the nuts prior, just blend, strain and serve. Do you know what, many years ago I was a bit of food purist, and would find great pleasure in making everything from scratch myself – using the best, most natural whole food ingredients I could source. I had a great routine going, and had a small forest of sprouts growing happily in the corner of the lounge, I had a kombucha SCOBY hotel, various nuts, seeds and crackers drying in the dehydrator, cashew cheese fermenting on the bench top, and jars of homemade grawnola stashed in the pantry. My partner and I were eating like kings! It was fantastic! However. Life isn’t quite the same since launching a new business, and time preparing all of these goodies seems to be a bit of a luxury of late. So, before we fell into that trap of defaulting to store bought fare purely for the convenience of it all, I’ve begun to re-work or hack a few recipes and streamline my time in the kitchen. Busyness shouldn’t be an excuse for not cooking! (or un-cooking!). Ok, cue this lovely plant milk today. 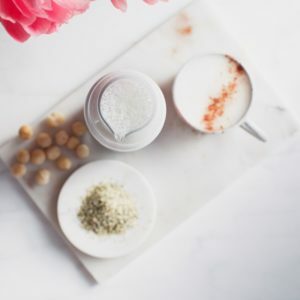 A good home made nut milk was always a staple for me, but the whole soaking of the nuts thing prior honestly became a little bit of a hassle. It’s just an extra thing on your to-do list, right?! 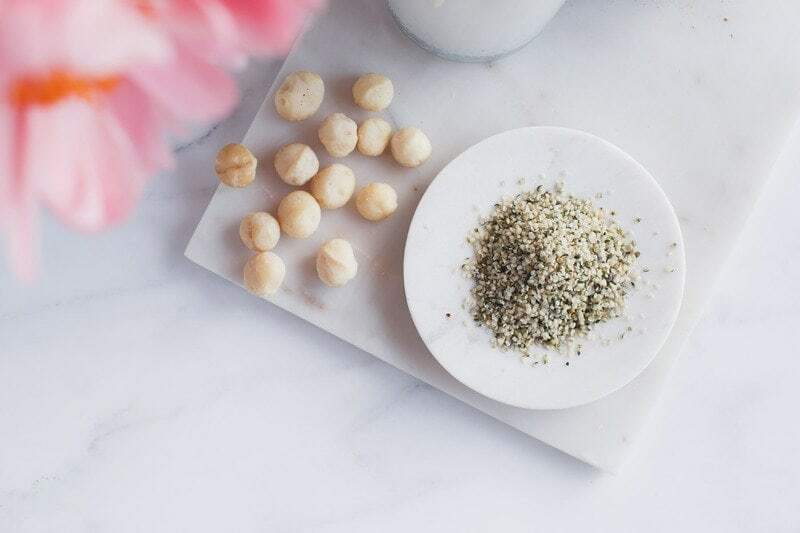 This problem is easily solved by using a combination of hulled hemp seeds and raw macadamia nuts – both of which are deliciously creamy and truly don’t need any soaking at all. This means, you won’t be caught sans milk at breakfast, because as long as you have a stash of these on hand, you can whip up a batch in mere minutes. Winning! What’s more, I really love that the hemp seeds are providing some anti-inflammatory, omega-3 fatty acids, protein, magnesium and the antioxidant vitamin E.
Granted the two are more expensive than most other nuts/seeds, you can still get value for money by sourcing them from a bulk bin store. 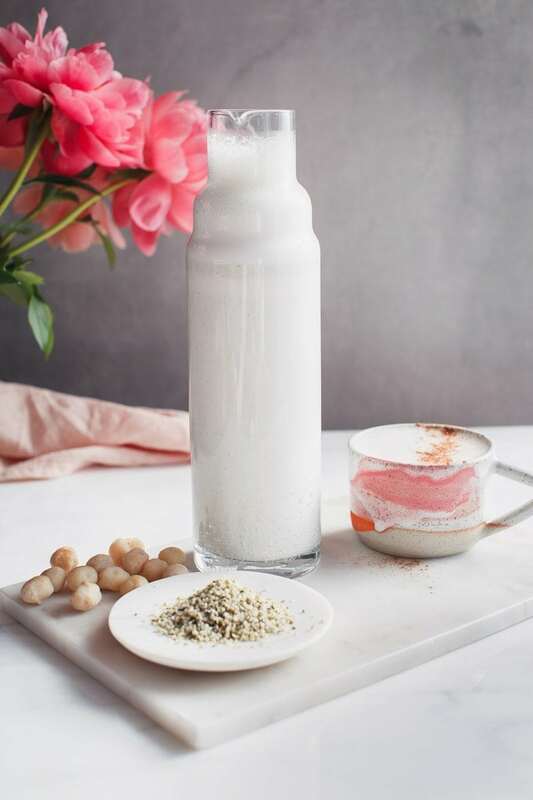 As an alternative, you could always sub out either of the hemp or macadamia nuts for desiccated coconut, which will also add a wee bit more sweetness. 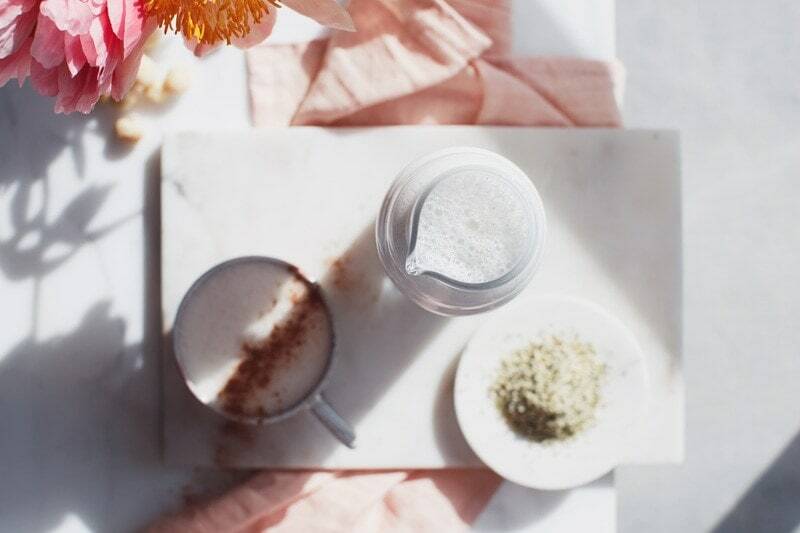 The beauty of making your own milks at home of course, is that you can do away with all the extra things they sneak into those commercial milks – emulsifiers, gums, sugar, flavourings and the like. Makes just over 1 litre/about 5 cups. Add all ingredients to a high power blender and whizz for 2 minutes or till smooth. Strain through a nut milk bag, discarding the pulp. Store in a glass jug in the fridge for up to five days. Desiccated coconut is an alternative for either of the hemp or macadamia nuts.